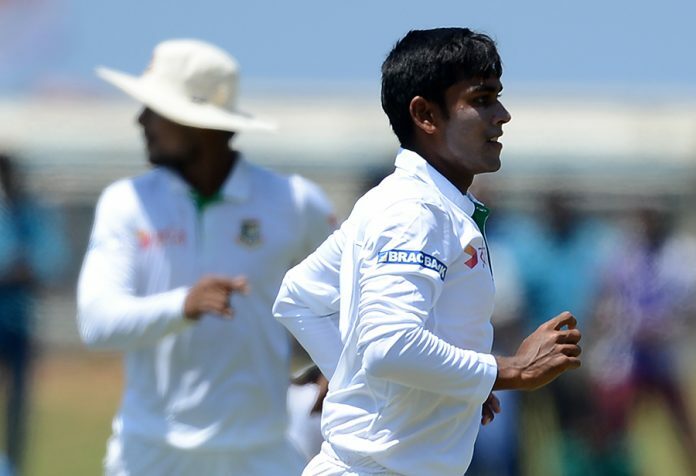 Bowlers gave Bangladesh a good session at the second day of Galle Test. Sri Lanka lost their last 6 wickets for 96 runs and bowled out for 494. Credit goes to Mehedi Hasan Miraz who picked up 4 wickets for 113 runs. Two unbeaten batsman Kusal Mendis and Niroshan Dickwella started the day aggressively for Sri Lanka. 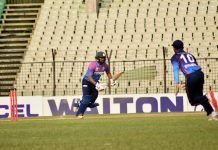 Mehedi Hasan broke the partnership and sent back both batsmen. Kusal Mendis was gone for 194 and Niroshan Dickwella scored quick-fire 75. Mustafiz struck just after the lunch and got rid of Rangana Hertah at slip. Dilruwan Perera and Suranga Lakmal made a small of partnership of 23 runs which ended in a run-out. Mehedi Hasan and Shakib Al Hasan shared the rest of the two wickets and dismissed Sri Lanka under 500 runs. In reply, Bangladesh posted 31 without losing any wicket at the tea break.